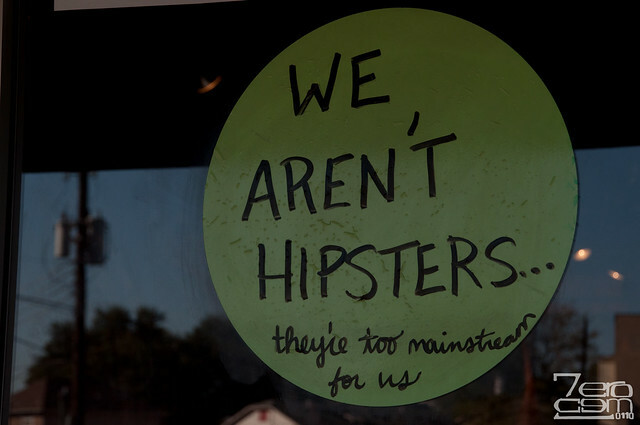 Why do We Hate Hipsters? During the last 18 months, the word “hipster” has taken on a new, sinister meaning. Not too long ago, we loved hipsters—we mimicked their mannerisms and adopted their fashions; but that’s all changed. In the blink of an eye, the hipster has turned into a catch-all scapegoat, guilty for everything from expensive beer to bad music. Hipsters cause unemployment, andundermine businesses. Cities have lost billions of dollars in federal funds because of hipsters. Dads are the Original Hipsters is a single-topic blog that really puts things into perspective. Though the facial hair, thick-rimmed glasses, and mismatched clothing patterns are carefully selected by hipsters today, it was an unintentional choice by dads in the 70s, 80s, and 90s. If you’re a 20- or 30-something-year-old right now, you might recognize the fashion sense of your peers without realizing just how close to home it is. That is, until you take a look at some old family photos and notice that your dad was the original hipster! The photos in this hilarious blog show dads from all walks of life that look and act exactly like the hipsters of today. They’ve even got their own bicycles, typewriters, and blasé attitudes! Suddenly, dads everywhere seem a whole lot cooler.